It’s 9 a.m. at the Saratoga Farmers’ Market. 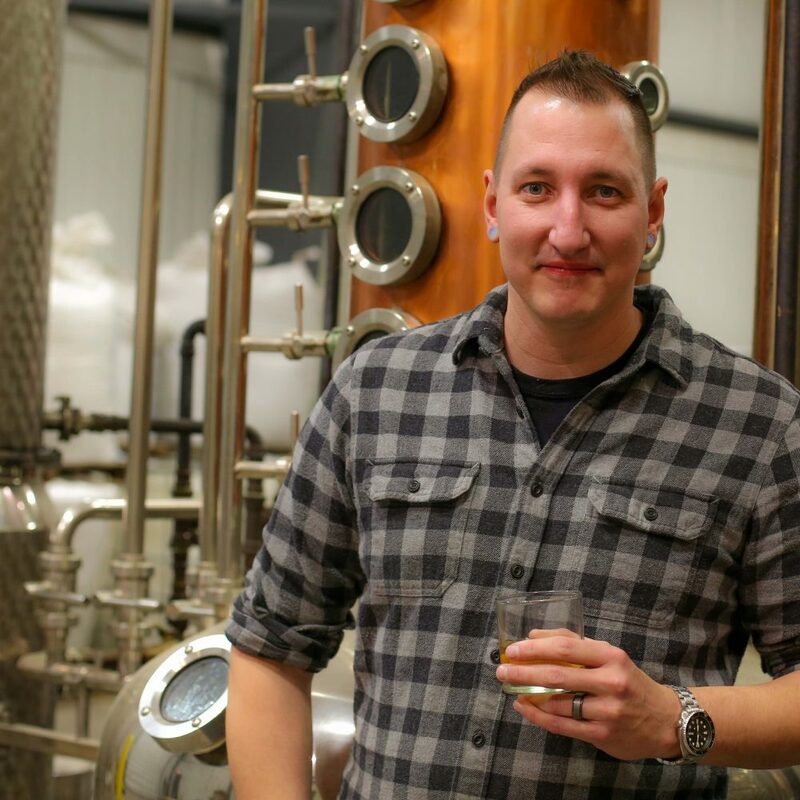 Not exactly “happy hour.” But for Matt Jager and the crew who bring vodka, straight bourbon, rye, wheat, and single malt whiskeys from Yankee Distillers to the market, that’s the point. These drinks are not meant to be downed in a hurry but instead sipped slowly. A distilled spirit is an alcoholic beverage produced by allowing a fermented liquid to turn to vapor and then back to liquid. Grains are cooked down to a mash. During this process, carbohydrates are broken down to simple sugars. Sugars turn to alcohol as yeast eats away at them, creating fermentation. The resulting liquid is then distilled and aged. Distilling has historic roots. New York farmers fermented and aged grains in small batch processes through the late 18th and 19th centuries, creating a vibrant craft industry. Prohibition laws of the 1920s wiped that industry out. In 2005, however, new state laws were passed that are helping distilleries make a comeback. For him, that essence involves learning more about the grains and their origins, how they were grown, harvested, stored, and ultimately converted to the spirits that one enjoys now. 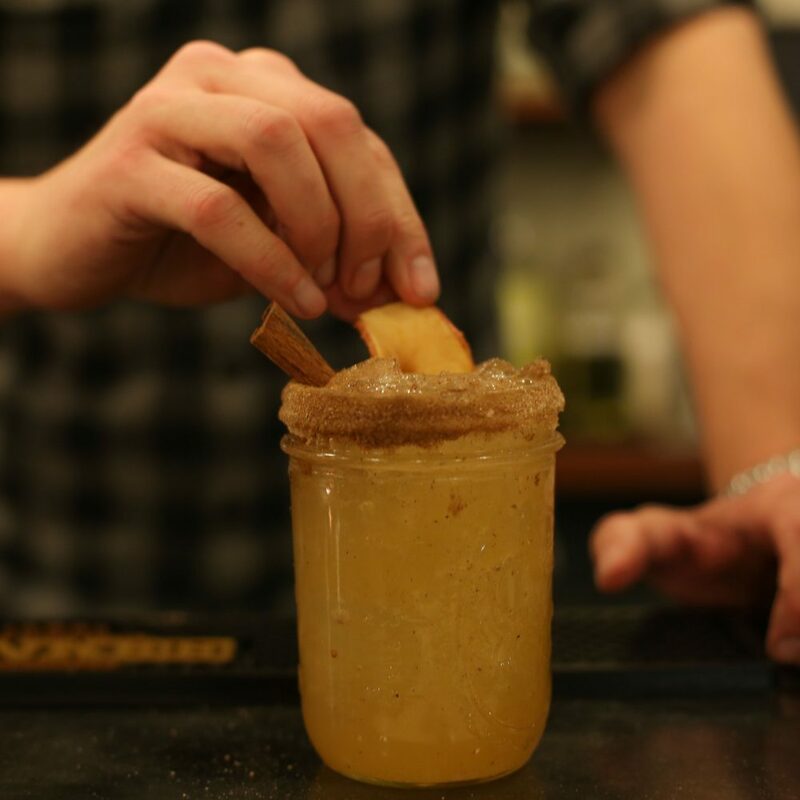 State laws require 75 percent of farm distillers’ raw ingredients to be of New York origin. 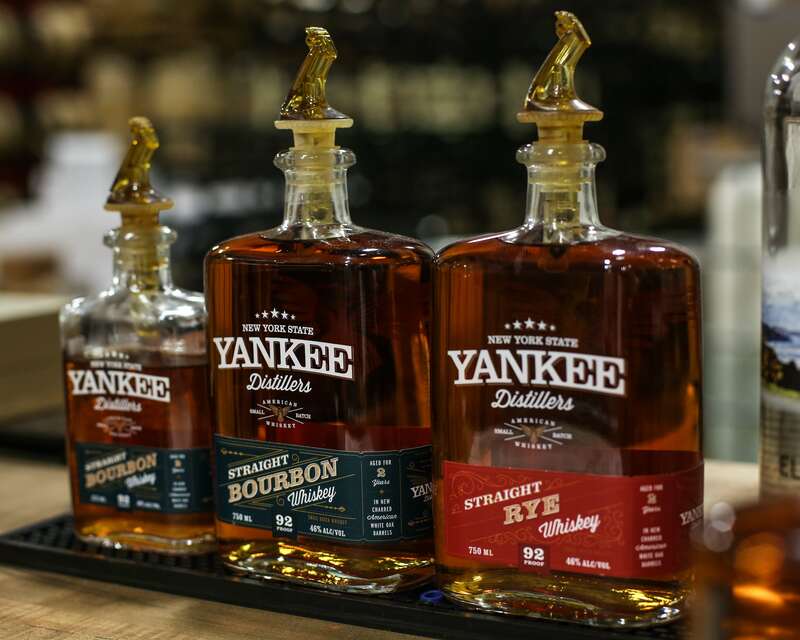 Yankee Distillers uses 100 percent New York grown corn, rye, wheat, and malted grains in its products, and Jager dreams of operating a farm that would grow these crops itself. Sip a sample at Yankee Distillers table at the Saratoga Farmers’ Market. Or visit their tasting room in Clifton Park. The Saratoga Farmers’ Market is 9 a.m.-1 p.m. Saturdays at the Lincoln Baths Building in the Saratoga Spa State Park. Follow us on Facebook, Twitter, Instagram, and the FreshFoodNY app.